This is my present HK project, another scarf. 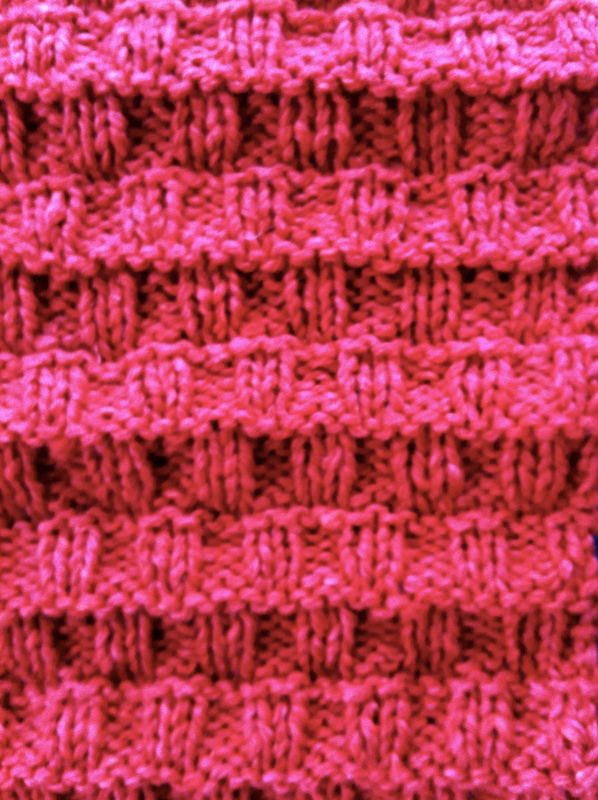 Stitch pattern blocks are broken up by rows of solid knit and solid purl alternately, giving the fabric a slightly “pleated” effect, different from the usual square block configurations. 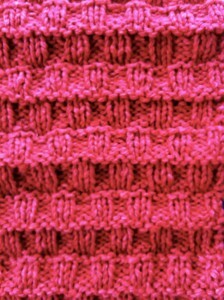 The yarn is 60% silk, 40% wool as the last lace HK, all wool would probably have a crisper wave effect. A trial cotton swatch flattened out almost completely. I am able to get good edges on my HKs, tend to never use the method suggested by some of slipping the first stitch, knitting it only on alternate rows. Such an edging could be added if preferred.